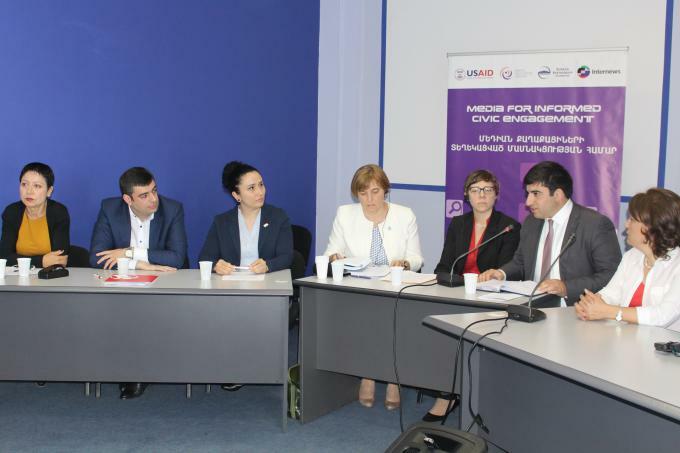 Within the EU4Youth initiative, funded by the European Union, Save the Children International Armenian Representative Office and World Vision Armenia conducted three assessments of Armenia’s labour market. The findings of these research reports were presented during the event organized on the 27th of March. •	Agriculture – available still not-desired sector to work in for Armenia’s youth. On the occasion of International Day of Families celebrated on May 15, Save the Children Armenia once again restated its firm commitment to ensure every child enjoys the right of growing up and being educated in a loving family, as well as its dedication to support the establishment of diversified models of foster care in Armenia as an alternative to the large-scale night care institutions. Hripsime is 35 and she lives with her mum who was trying to take care of her throughout her life, and sometimes this care was too much for a young girl. From her young ages Hripseme’s dream was to become a modeler, design extraordinary dresses and accessories and inspire people. Because of her poor eyesight her mother thought that sewing and dressmaking could harm her health. “Every time I wanted to sew a new dress or a tie, my mum was trying to prevent it and added that I should take care of myself”. Every young man or woman, with and without disabilities, ought to have the opportunities and supports needed to pursue significant work. Karen, age 35, and Edgar, age 25, were among 282 young people with disabilities who participated in the market-oriented short-term inclusive vocational classes in 14 specialties (computer literacy, cooking, hairdressing, sewing, wood items processing, beekeeping, furniture making, etc.). The classes were organized within the framework of “The Social Innovations for Vocational Education and Employability (SIVEE) of Young People with Disabilities” project which is implemented by the Save the Children with the financial support of the European Union and in partnership with the Professional Education Reforms NGO. Sharing is caring for sure. With this motto Save the Children (SCI) organized an experience-sharing-meeting between the specialists from Emili Aregak Day Care Center for Children with Multiple Disabilities in Gyumri and our “Community Based Service for People with Disabilities” (MACF) Project Partner Organizations (Armavir Development Center NGO (ADC) and Full Life (FL) NGO).